on the Western Front (Crumps & Camouflets). Tim Whitford, former Education Outreach Officer at Melbourne’s Shrine of Remembrance. One of the key people involved in uncovering the burial site of missing servicemen at Fromelles, France in 2008-09.
who tunnelled out of Holzminden POW Camp in Germany. then stay and enjoy a special viewing on the ‘big screen’. Venue: Regent Cinemas, next door to Jackson’s & Co. Discounted All Day tickets (covering sessions one and two) $25 conc and $30 adult. Free event: WW1 Show & Tell at the Tippett Library on Federation University’s SMB Campus in Lydiard Street South, Ballarat CBD. Need help researching your World War 1 ancestor? Specialist family researchers, historians and museum specialists team may have some suggestions to help you out. 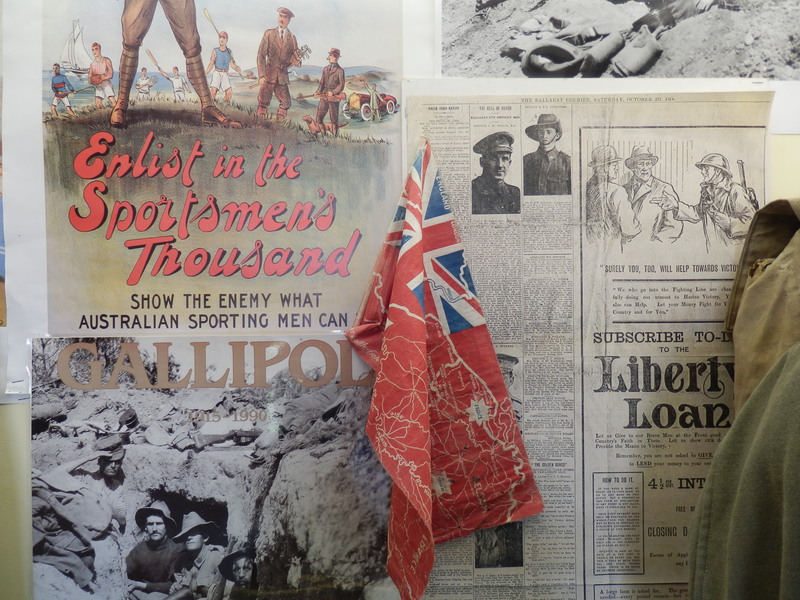 Bring along you WW1 memorabilia and the team from VIPs will scan or photograph it for you. Bring a USB stick so we will transfer the images we create on the day for your records, on the spot. This is an important task to undertake. If disaster struck and your memorabilia was destroyed you should at least have a good digital reproduction. Need advice on how to appropriately care for items in your WW1 collection? Do you know how to store granddad’s medals properly? What is the correct way to fold and store his WW1 uniform? Should you store folded letters in envelopes? There are many things you should know to make sure your WW1 collection lasts for as long as possible. We hope to see you at the FedUni SMB campus library between 1.00 and 5.00 pm this afternoon. Special Mining Mud & Medals event on Sunday the 27th of April. 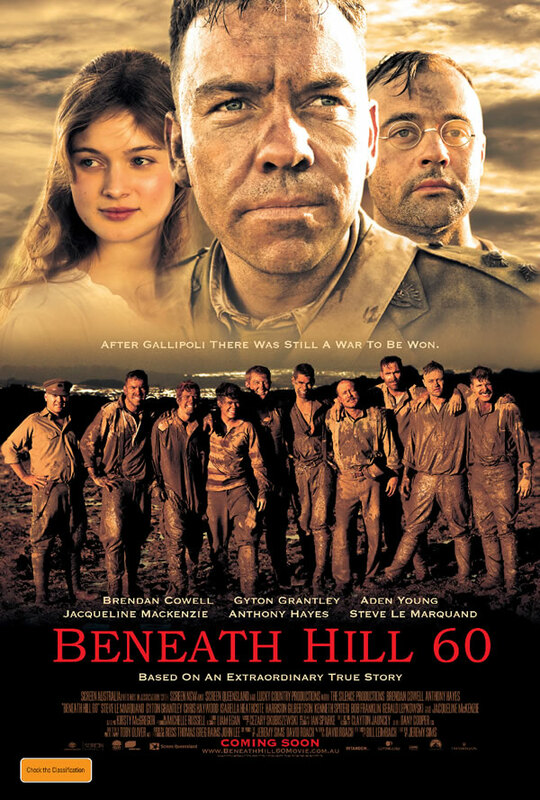 At 2 pm in the afternoon a special movie presentation of the WW1 Tunnellers Movie “Beneath Hill 60”. 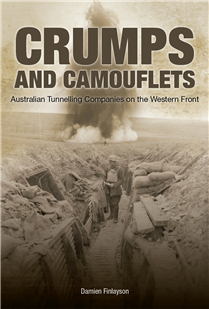 1) Damien Finlayson, military historian and author of the definitive historical reference on Australian Tunnelling Corps on the Western Front (Crumps & Camouflets). 2) Tim Whitford, former Education Outreach Officer at Melbourne’s Shrine of Remembrance. One of the key people involved in uncovering the burial site of missing servicemen at Fromelles, France in 2008-09. 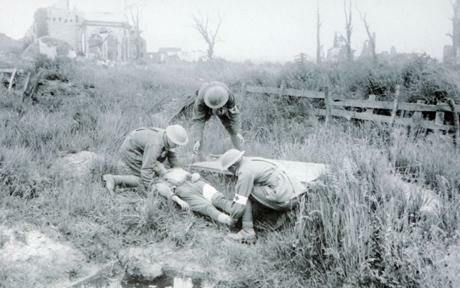 3) Ross Thomas, mining engineer & exec producer of the Australian WW1 movie ‘Beneath Hill 60’. In this session Ross will tell the real story of the Real Great Escape, the first mass escape of WW1 prisoners who tunnelled out of Holzminden POW Camp in Germany. Free event: WW1 Show & Tell at the Tippett Library on Federation University’s SMB Campus in Lydiard Street South, Ballarat CBD. Bring your WW1 memorabilia along and the team from VIPs will scan or photograph it for you. Bring a USB stick with you and we will save the images we create on the day for your records, on the spot. Specialist family researchers, historians and museum specialists will be on hand to show you how to appropriately care for items in your WW1 collection. Do you know how to store granddad’s medals properly? What is the correct way to fold and store his WW1 uniform? Learn how to store paper records like the diaries and letters he sent back home so future generations in your family can enjoy them too. Author Damien Finlayson, speaking in Ballarat as one of three excellent WW1 military specialists, appearing on one morning session 9:15am to 12:30pm at Jackson’s & Co. Ballarat CBD, on Sunday 27th of April. “Crumps & Camouflets talks about the shattered ground that separated the British and German infantry on the Western Front in World War I, of an unseen underground war, fought by miners, ‘tunnellers’ as they were known.